Members of the European Research Group, led by Jacob Rees-Mogg, are now privately telling pro-Brexit Cabinet ministers they will trigger a vote of no confidence this week unless they can make her abandon Chequers, The Telegraph claims. An ERG source said: “If the Cabinet does not chuck Chequers I think we will have a vote of no confidence… by this week, next week. We are completely on the brink now. “We are saying to every member of the Cabinet that we speak to – if you don’t sort this out, if you do not get Chequers chucked we are going to do it. Mrs May had told a three-hour Cabinet meeting on Tuesday morning she would not separate Northern Ireland from the rest of the UK with customs checks, as reports had suggested, prompting the DUP to threaten to vote down the forthcoming budget. However, May now plans to keep the entire UK tied to the bloc’s Customs Union after Brexit and the two-year “implementation period”, repeatedly refusing to name a date when the UK will leave and take back control of trade policy and goods regulations. May also told MPs: “I continue to believe that a negotiated deal is the best outcome for the UK and for the European Union. Over the weekend the former Brexit minister David Davis called for rebellion, demanding ministers “exert their collective authority” at this “moment of truth”. A group of 63 Brexiteers also penned an open letter to the government in a show of strength, demanding data that could support the Brexit cause be published. 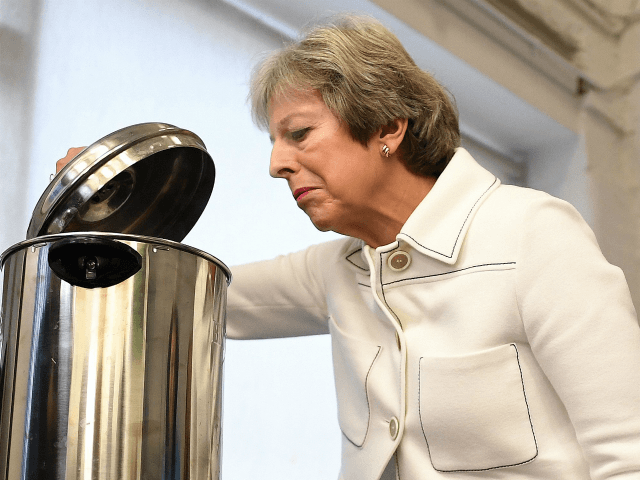 Most top Cabinet ministers have criticised May’s latest customs plan, including foreign secretary Jeremy Hunt, home secretary Sajid Javid, trade secretary Liam Fox, current Brexit secretary Dominic Raab, House of Commons leader Andrea Leadsom, and pensions secretary Esther McVey.